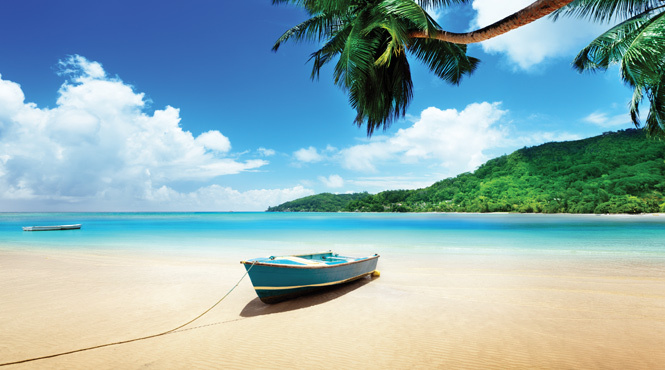 Renowned for uncrowded white sand beaches, dramatic rock formations, lush tropical vegetation and warm topaz waters, The Seychelles are a truly magical destination. 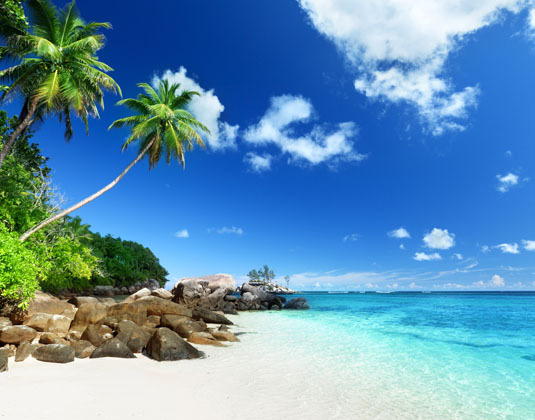 115 islands comprise The Seychelles archipelago, most of which are completely uninhabited. 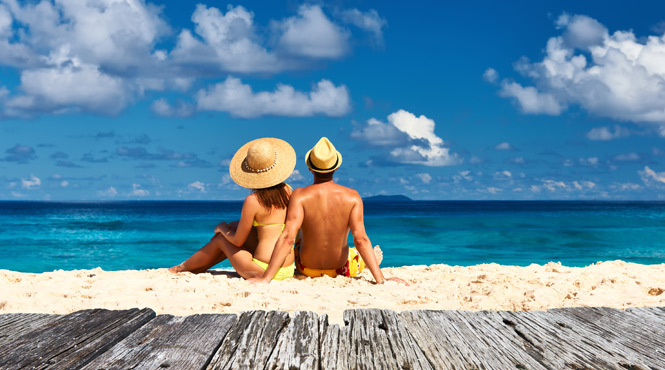 The three neighbouring islands of Mahe, Praslin and La Digue form the cultural and economic hub of the nation and attract the majority of visitors keen to find their own patch of paradise. Which will you choose? 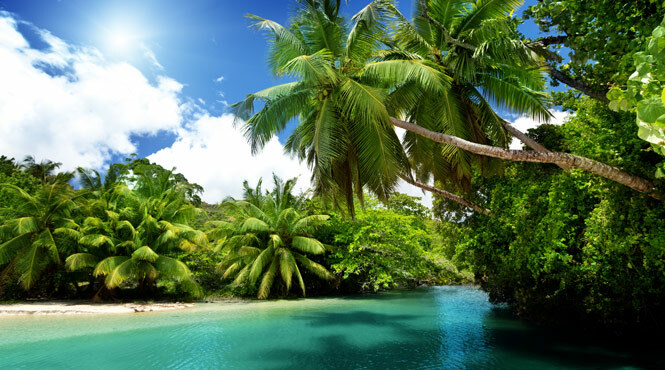 Mahe, which is home to the capital Victoria, is the largest island in size and population with a mountainous, forested interior and over 60 heavenly beaches ranging from sweeping bays to hidden coves. 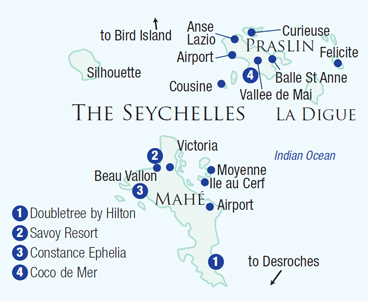 The international airport is here, making this a great place to start and finish your Seychelles adventure. The second largest island, Praslin, is a laid back delight of exquisite white sand beaches and lush tropical forests covering the hills. 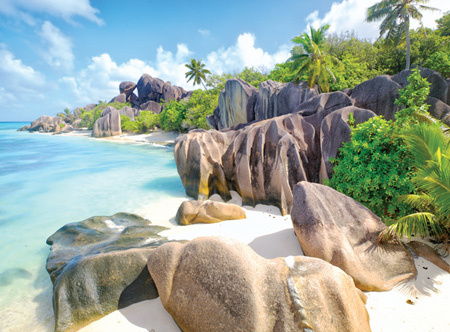 Don’t miss the lovely Anse Lazio, which consistently appears in top ten lists for the world’s most beautiful beaches, or the fabulous Vallee de Mai, which has been compared to the Garden of Eden and is one of The Seychelles’ two UNESCO World Heritage Sites. If visiting Mahe or Praslin, hiring a car is by far the easiest way to get around and explore the many wonderful beaches and attractions on each island. La Digue offers a more laid-back feel than Mahe or Praslin, with only a few surfaced roads and virtually no cars just the occasional ox cart or bicycle, it’s definitely more back-to-nature than jet-set. The friendly atmosphere, languid pace of life and breathtaking beaches of La Digue won’t disappoint. Tiny Bird Island is the northernmost island in the archipelago and as the name suggests there is a large bird population including sooty terns, lesser noddies and fairy terns. You may also see hawksbill and green turtles at certain times of the year along with dolphins and not forgetting Esmeralda, the world’s heaviest giant land tortoise. Other smaller islands with accommodation include Cerf and Silhouette. 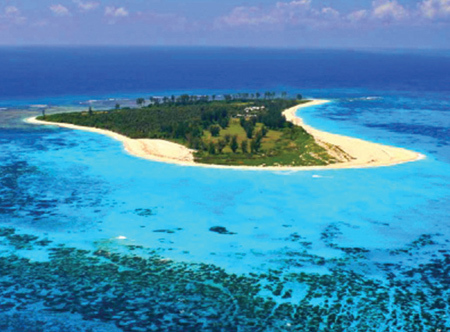 Cerf is Mahe’s closest neighbour and offers excellent swimming and snorkelling as well as several great beaches. Silhouette lies off Mahe’s western coast and is an untouched, living museum of natural history featuring many unique species of plants and trees. Still undecided? Then perhaps island hopping is the solution, or even a mini cruise from Praslin to Mahe taking in Felicite, La Digue and Moyenne islands. 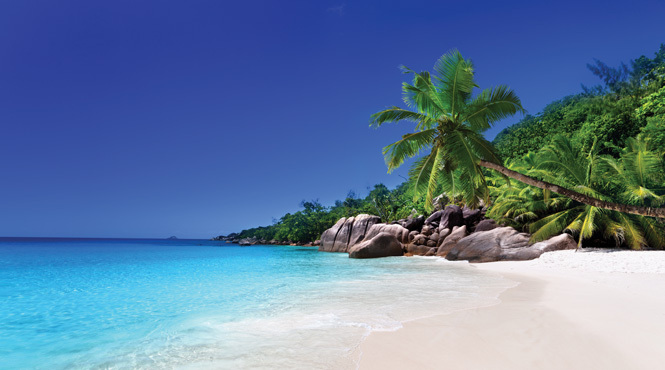 Our vastly experienced travel advisors are passionate about The Seychelles. With first-hand knowledge of when and where to go they can create the perfect holiday experience for you, at the best possible price. Flight duration: Mahe is just over 10 hours from the UK flying direct with British Airways or approximately 13 hours via Europe or the Middle East. Recommended airlines flying non-stop to Mahe: Air France (via Paris); Emirates (via Dubai) & Etihad (via Abu Dhabi). Passports & Visas: A full British passport, which is machine readable and valid for six months beyond your return date is required. A visa for 30 days is granted on entry. Best time to travel: Generally the considered best times to visit are March/April or October/November as the weather is most settled. June to September, though usually dry, can be very windy, especially on the west coasts of Mahe and Praslin or if you�re at sea!